Today we feature author Ben Guterson, whose debut MG novel, WINTERHOUSE, illustrations by Chloe Bristol (Henry Holt & Co.) just came out. Be sure to enter his giveaway for a copy (U.S. addresses only). I was fortunate to grow up in a home filled with books and to have parents who passed their love of reading and literature on to me. Classic children's stories such as Treasure Island, The Wind in the Willows, and The Adventures of Tom Sawyer were among my favorites when I was young (and remain so today), and I'm glad I've never forgotten the enjoyment I discovered in books during my earliest years. When I became a father myself, one of my greatest pleasures lay in reading to my children nearly every evening from the very same books I'd come to love at their age; something about the magic of middle grade literature captivated me all over again. I was also a public school teacher for ten years, and I would spend a few minutes at the outset of each class period (for my middle grade students) reading to them from children's novels I enjoyed. I've just always been drawn to books aimed at the 8-13 age level--there's a range of magic and possibility and adventure in most of them--and so, occasionally, I would dream about trying my hand at writing one myself. Congrats on your debut MG, WINTERHOUSE! Tell us about it and what inspired you. I first seriously considered writing a children's book when my youngest daughter encouraged me to do so one spring day when she was eight or nine. I remember it clearly. My daughter suggested we walk to the small lake near our house and bring notebooks with us—she thought it would be fun for both of us to draw pictures and write stories beside the water. Once we settled in, I sketched an enormous hotel in the mountains and called it Winterhouse—I don’t know why I chose that name, but I thought it sounded nice. I pictured a grand hotel set beside an ice-covered lake in some snowy, northern location. On the back of my drawing I started to write a story about a girl who lived with a cruel aunt and uncle but had somehow ended up visiting the fabulous Winterhouse Hotel for Christmas vacation. I read my three or four paragraphs to my daughter as we sat together, and she urged me to write a whole book about Winterhouse. We returned home and I put my drawing in my desk—never quite forgetting about it, particularly because, over the years, my daughter kept prodding me to continue the story. By the time she was in high school I decided to take her advice; and now, after a few more years and several drafts, the book has been published! Was your road to publication long and windy, short and sweet, or somewhere in between. 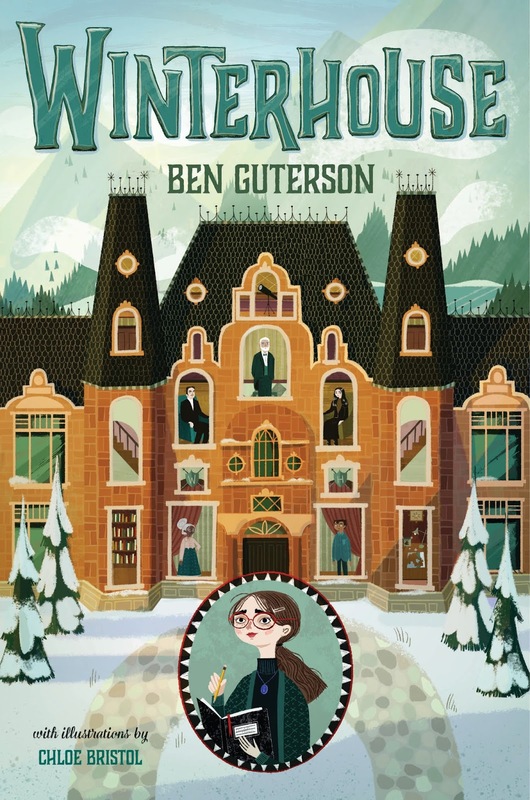 My overall road to publication was very long, though once I found my stride with WINTERHOUSE, things seemed to move forward relatively quickly. I had been writing for many, many years--adult novels, rather than children's books--and I received some interest from agents and editors along the way, though nothing ever took hold. When I finally turned my attention to middle grade literature and really devoted myself to getting a solid draft completed, I was able to connect with a great agent, Rena Rossner, and then a wonderful editor, Christy Ottaviano, and suddenly all the pieces came together. I'm grateful to have joined up with people as helpful and supportive as Rena and Christy. I'm currently working on the sequel to WINTERHOUSE, tentatively entitled THE SECRET OF WINTERHOUSE, and then will turn my attention to the third novel in the series. In the background, I recently completed a draft of a completely separate, non-Winterhouse middle grade novel that I'm excited about--it features a boy who is a whiz at math and astronomy, and is also a fantastic natural climber. I'm also deep into work on an adult novel that I hope will find its way to publication someday. My advice would be: If you really love to write, always remain focused on the writing itself rather than the fruits of your efforts. Any degree of financial reward or public attention--or even publication itself--is outside of your control, so if your happiness and self-worth is based on the external rewards, you could be setting yourself up for dissatisfaction; stay devoted to the pleasure of putting words together and telling good stories. I've always loved to read and I've always loved to write--I'm sure I would have kept writing for the rest of my life even if I'd never been fortunate enough to have anything published. Hmmm...I've been trying to learn Latin on my own for so many years I'd be embarrassed to reveal the number. I can read Latin now at a passable level, but I really should just buckle down and really commit myself to it! Still, it's a lot of fun, and a knowledge of Latin adds greatly to a person's understanding of English in particular and languages in general. 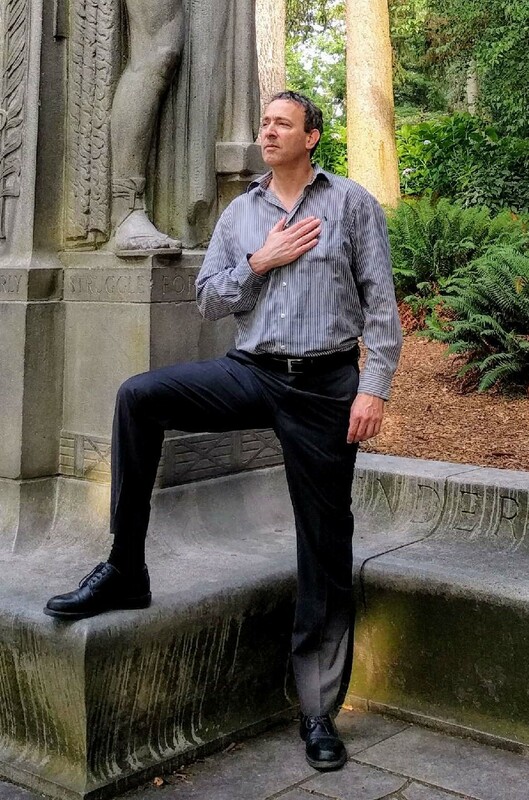 Ben Guterson was a high school and middle school teacher in New Mexico and Colorado for a decade before working for several years at Microsoft as a program manager. He and his family live near Seattle in the foothills of the Cascade Mountains. Nice to hear about your book’s journey. Thank you, Rosemary. And congrats on winning the giveaway! I hope you enjoy the book. My favorite part about your journey is that you started this book while writing with your daughter and she encouraged you to finish it! Best of luck to you Ben! Thanks for the good wishes! I'm very glad my daughter kept encouraging me! Love your passion about writing and what you would say to your younger self!! Thank you! I do enjoy writing and feel fortunate to have published a book! Thanks for sharing your debut MG. The cover art is very inviting. It's always interesting to read about the journey to publication. I enjoyed this post and will be looking for this book. Thanks. Thanks, Rosi! I hope you enjoy the book! Glad your daughter encouraged you to finish the story. Can't wait to read and share. I'm glad, too! And I hope readers young and old enjoy the story! What a lovely story about how this beautiful book came to be! Congrats! Thanks, Rajani! It's still really amazing to me that one walk to the lake several years ago resulted in the good fortune of having the story published. Congratulations on publication! It looks fun! Thanks, John! I hope readers enjoy it! I've been hearing a lot of buzz about this book. Can't wait to read it! Congrats! I have this book on my TBR for 2018. Thanks for sharing your love for books and how you became a writer. Thanks! It was fun sharing my story on this blog--glad you liked it! Congratulations on your book, Ben! Congratulations on your latest success. I loved your comment, "If you really love to write, always remain focused on the writing itself rather than the fruits of your efforts." Yes, we can only control what we can control. I wish you continued success. Thank you, Cynthia! Really glad you found my thoughts worthwhile! Looks like a great book! Congrats! I love hearing the story behind the story. Thank you for sharing it and congratulations! Thanks, Susan. I was glad to share some thoughts on this blog--glad you enjoyed.